Can I play a PAL copy of Code geass on my US player? So, here just a couple of weeks ago, I placed an order for Code Geass season 1 and season 2 from Madman Entertainment. This is my first time buying anime. I was told that Madman is a great site to buy anime from because there are a lot of pirated copies floating around on other sites and I wanted to make sure to get an official copy. My concern is that I just noticed that they are region 2 and 4 (PAL), and I live in the US (Region 1). This all being said, will my computer and PS4 not be able to play them? If not, is there anywhere else to legally obtain these full seasons in my region? With PC's, if my memory serves me correctly when it comes to DVD Playback they are pre-set with the local DVD region. this can be changed but only 5 times which isn't ideal. I don't play movies on my PS4 but the PS3 when it came to DVD/Bluray Playback they were pre-set to play local DVDs/Bluray of the country it was made in (ie. NTSC PS3 will play Region 1 DVDs and Region A Bluray. a PAL PS3 in Australia will play Region 4 DVDs and Region B Bluray while a PS3 in the UK (to my knowledge) will play Region 2 DVDs and Region B Bluray). When it comes to importing anime from another country you have 2 options. Use a local distributor - in your case since you live in the US RightStuf would be one of your best bets. you could try NISA's store but they only sell anime they have brought the licences for and Rightstuf sells this aswell. Get a Region Free DVD/Bluray Player - these are DVD/Bluray players which can have their DVD/Bluray Regions chnaged at any time, generally these also allow you to set the DVD Region to 0 (Region Free/Worldwide) but with Bluray there is no equivalent. Getting a new DVD/Bluray Player which is multi-region isn't cheap. this one while it would cost me US $169.00 it also costs US $127.20 for international shipping to the total cost may vary. if you're invested in having a DVD/Bluray collection of anime then the price you pay for a multi-region DVD Player is a worthy investment since then you can buy DVDs/Bluray no matter the country. this then means the Anime you have on order will still be of use to you and you can just order Anime not based off where it's coming from but availability, customer service, bonus content, etc. you don't actually own any of the anime and are at the mercy of the site's uptime so if the site goes down for maintenace or what ever reason your out of luck. 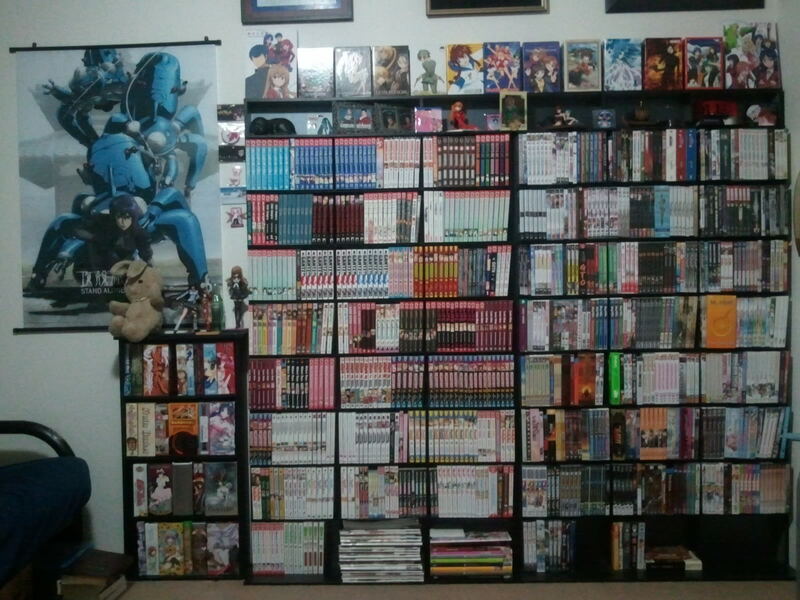 worst case scenario is that the site shuts down for good, then where is your anime collection? You are also at the mercy of your internet connection. weather it's working or not, if you have a data limit when you may have breached it, connection speeds etc. (a) There was a US release from Bandai several years ago but that's long since out of print and hard to come by (I'm seeing $300 for complete sets). (c) While your PS4 and your home computer won't be able to play them 'out of the box', there are region-free DVD players available and there are various pieces of software out there that can allow a PC's DVD drive to play discs of any region. Technically there are licensing issues around region-free systems, but those almost uniformly fall on the retailer and not on the owner, and you can find many major independent video retailers (e.g., Scarecrow Video in Seattle) that sell region-free hardware. A lot of the avenues in regards to regionless players (good investment) have been covered, but I'll attack the home computer angle. There is a chance that you may be able to play the DVD out of the box, but you would have to use VLC Media Player to do so. Reports suggest that it ignores the region encoding on your machine and will allow you to play it; however, newer models of DVD drives may enforce this coding more strictly. That said, it is possible to change the region of your DVD drive, but you may only do it up to five times before it is permanently fixed to that region. Look up instructions specific to your operating system before continuing1, and I would personally avoid any instructions dealing with loading or updating the firmware of your drive unless you feel confident that you know what you're doing. As with the other advice, investing in a regionless drive may be the best option, since it allows you to buy with more confidence, and reduces the likelihood that you'll worry about these sorts of purchases. 1: I wish I could help here, but I only run Linux and have only ever run DVDs on Linux. I also have a regionless BD DVD-RW. Not the answer you're looking for? Browse other questions tagged code-geass merchandise or ask your own question. What happened at the end of Code Geass R2? Are the Code Geass manga just different perspectives? What does SP means in Code Geass? What's the name of this vehicle in Code Geass? Difference between a code and geass? Where did the Western names in Code Geass come from? What exactly is the Code Geass? Which musical piece is this from Code Geass? Was Code Geass first a light novel, manga, or anime?